SPY Optic is a proud supporter of Summer Fun on the 101, the Encinitas Lifeguards Association and countless other local causes. 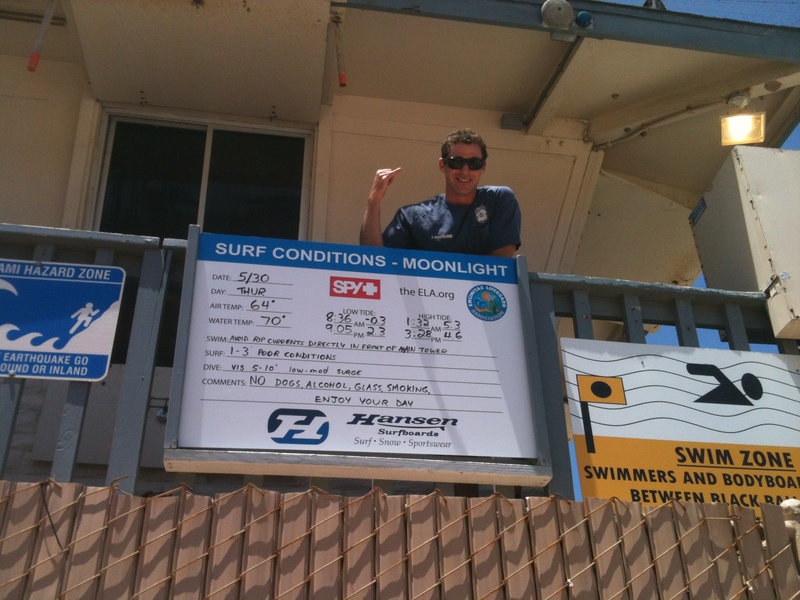 That’s Sergeant Strickland giving a shaka over the new tide boards at Moonlight Beach. The newly improved Moonlight Beach will have a grand re-opening ceremony on Thursday June 13th from 5:30-7:30.